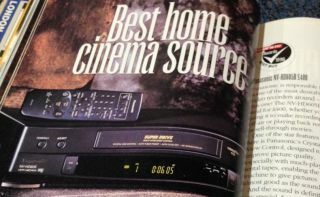 The last VCR manufacturer announces end of production | What Hi-Fi? It's the end of an era as the sole surviving manufacturer of VCR machines has confirmed it will be ending production. You could be forgiven for being surprised to discover that anyone is still making VCRs, but Funai - the last Japanese manufacturer to do so - has announced it will cease production this year, reports the Nikkei newspaper in Japan. Funai has been making VCR machines for over 30 years, but having seen sales drop from a peak of 15 million units to 750,000 last year, and facing rising costs for scarcer parts, the company has announced it will be ending production. Funai has latterly focused on selling TVs, notably those bearing the Philips brand name in the US - and to huge success. VCR players came to market in the early 1970s, led by Japanese brands such as JVC, Panasonic and Sony, with more than half of UK households owning a player by the end of the 1980s. Panasonic ended VCR production back in 2012, VHS tapes having long been usurped by DVDs and subsequently Blu-rays in disc-lovers' affections. As a result, UK retailers began to phase out VCR machines in the early 2000s.